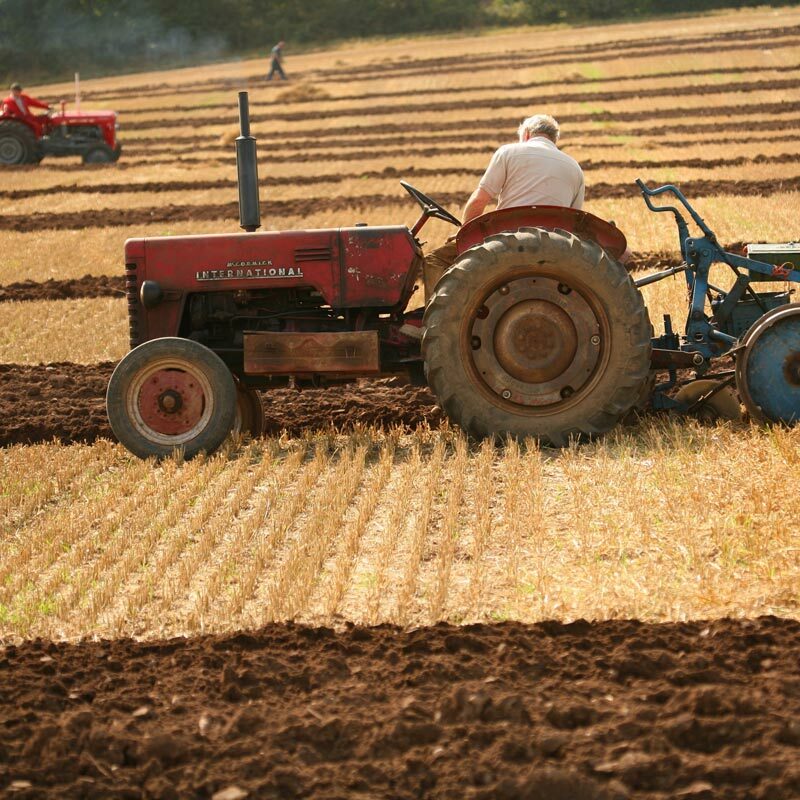 The East Kent Ploughing Match is an annual event that has been running for nearly 80 years. Attracting thousands of visitors each year, the event not only draws tough competition between modern, old and horse drawn ploughs, but is a fantastic outing and educational opportunity. The East Kent Ploughing Match Assocation was established to encourage all those employed in agriculture to enter competition in which prizes are awarded for skills in ploughing with tractors, vintage and horses, and also for excellence in crop husbandry. The Association also aims to educated the general public in the fundamentals of agriculture and to impart a greater understanding of the relationship between farming and the environment. When research was undertaken in to the history of the East Kent Ploughing Match Association it was discovered that it had existed under one name or another since 1840. Some of its first members could recall the days of the Napoleonic wars. The history was plotted through the Kentish Gazette who have given full coverage to nearly every match since the Association's inception. Many East Kent agricultural associations came into being in the 1830s. At this time there was an agricultural depression and action was taken to assist the rural poor through the Poor Law Amendment Act and because this was operated harshly in the early years many agricultural assocations were formed. From 1833 there is mention of a Kent Agricultural Society and an Isle of Thanet Agricultural Association who had as their patron, the Duchess of Kent. Following the creation of these societies there very quickly developed similar such ones in Faversham, Nonnington, Dover and Deal and Chartham. Leaping forward it was in 1945 that the Shepherdswell and District Ploughing Match Association (an offshoot of the Kent War Agricultural Execuitive Committee) met to talk about forming a Ploughing Match Association. They listed the founding members in the minutes and the date of the event and the membership fee. After 4 matches in 1950 the Association adopted its present name to reflect its size and scope. With its growing success the Committee also decided to introduce more entry fees, drive membership and allow advertisements in the schedule and catalogue. From then on the show has developed in to what it is today, introducing in 1954 the Tossing the Sheaf and display of the Foxhounds. It has introduced livestock competition, vegetable competitions and from early on in the 1950s a thriving Women's Section. All those associated with farming enjoy the day and the Association warmly welcomes all those in the local community to attend and enjoy a day of agriculture, competition and rural pursuits.